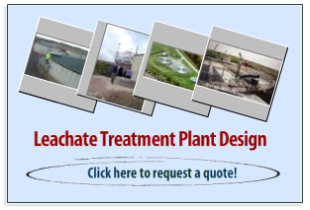 The search for the perfect Leachate Treatment System has, over many years in which the technology in parallel areas of water treatment has been improved beyond recognition, remained a dull one for those that know leachate. Somehow, all those contaminants it contains (a wider range than in any other effluent) have contrived to make the most commonly used solutions highly complex, dependent on advanced technologies, and hard to operate successfully. It isn’t a surprise that landfill operators, hold no enthusiasm for the established processes, which they see as high cost, and a highly risky investment. 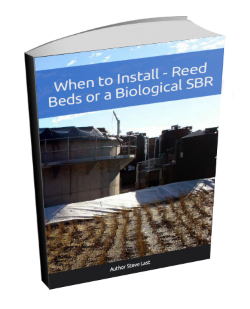 Many will privately tell you that they hold reservations whether those expensive leachate plants will even work after their initial commissioning support period. Reverse Osmosis (RO) is capable of treating some leachates for surface discharge, but it produces concentrate waste (brine) which requires management. Oftentimes, disposal of RO brine requires trucking to disposal sites and increased operating costs. 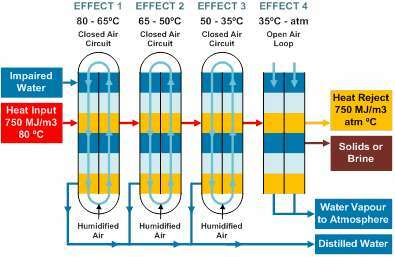 Past work with evaporation systems has been challenging, as conventional metallic based evaporators suffer reliability concerns on concentrated leachates (corrosion, scaling, foaming, air emissions and odors for open to air evaporators). Saltworks Technologies Inc. (www.saltworkstech.com) has developed a robust, reliable crystallizer system capable of treating landfill leachate and RO brine/concentrate to produce freshwater meeting surface discharge regulations and highly concentrated brine or solids for return to the landfill. The SaltMaker Evaporator Crystallizer was originally developed for difficult oil and gas wastewaters, but has been adapted and proven successful on landfill leachate. It can treat the raw leachate or RO leachate brine, reducing or eliminating brine trucking and offsite disposal. It is a modular, reliable, energy efficient system capable of treating RO brine or raw leachate with no pre-treatment. The SaltMaker Evaporator Crystallizer uses a four effect humidification-dehumidification (HDH) cycle to concentrate leachate to greater than 30% solids by mass and produce freshwater. The SaltMaker was designed to operate on scaling and challenging fluids in a simple one-step process, with no pre-treatment. This is achieved by the combination of non-stick engineering plastics and self-cleaning cycles that reverse scaling before it becomes irreversible. The latent heat of condensation is recycled as it is downgraded four times, resulting in distilled water production and one quarter the gas load over conventional open to atmosphere leachate evaporators. The distilled water recovered can have volatiles such as ammonia present, which depending on the site may require simple post treatment prior to discharge. It produces a highly concentrated brine or solids for simple return to the landfill. The SaltMaker Evaporator Crystallizer has completed multiple full scale and pilot project installations across the USA. A total of 18 projects have been completed. 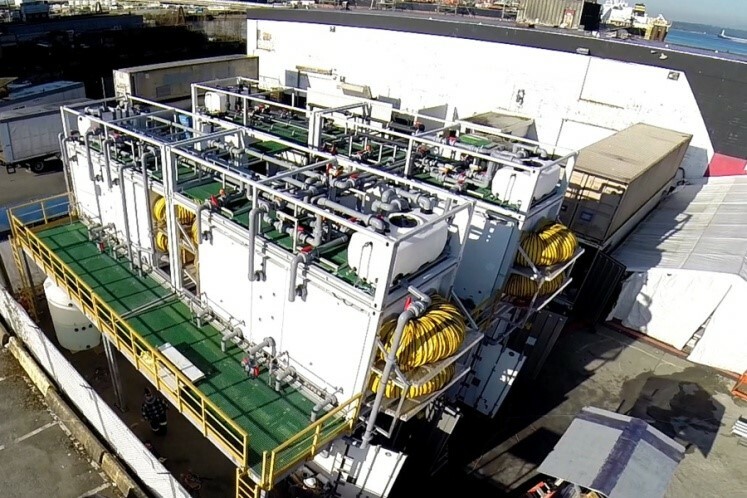 Project objectives were low cost, high reliability, freshwater that met USA EPA surface discharge requirements, and achieving extreme recovery and near zero liquid discharge. The SaltMaker Evaporator Crystallizer has been used to treat raw leachate, leachate RO brine/concentrate, effluent from biological treatment plants, and gas well liquids. 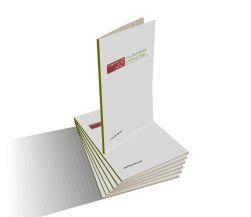 Freshwater met applicable regional regulatory limits for surface or sewer discharge. It is noted that post treatment for ammonia may be required. Ammonia is volatile and may condense into the freshwater. Saltworks has a standard ammonia post treatment package. Figure 1. From left to right: raw leachate RO concentrate, SaltMaker Evaporator Crystallizer produced freshwater, solids production, dewatered solids. Figure 2. From left to right: raw MBR effluent, SaltMaker Evaporator Crystallizer produced freshwater, produced solids. The SaltMaker Evaporator Crystallizer is a robust, reliable crystallizer technology that can treat leachate or effluent from existing treatment plants to produce freshwater meeting surface discharge regulations and highly concentrated brine or solids for return to the landfill. Pilot and full scale plants have proven successful in treating raw leachate, RO concentrate, and MBR effluent. If landfills are already treating leachate with RO, the SaltMaker Evaporator Crystallizer can treat the RO brine to offset hauling costs and reduce brine management. The SaltMaker Evaporator Crystallizer is being adopted across the USA as a solution to EPA environmental regulations limiting leachate surface discharge. Saltworks Technologies Inc. treats difficult wastewaters worldwide and is looking for leachate projects outside of North America. Saltworks can be contacted at projects@saltworkstech.com for free desktop engineering studies and analysis of your unique project needs. In Beirut , leachate has reached most well water . Soon, most users will be asking for solution. What could it be done , in addition to Reverse Osmosis ,as a quick easy additional equipment. I have read quickly above , and looking for exclusive cooperation in Lebanon.